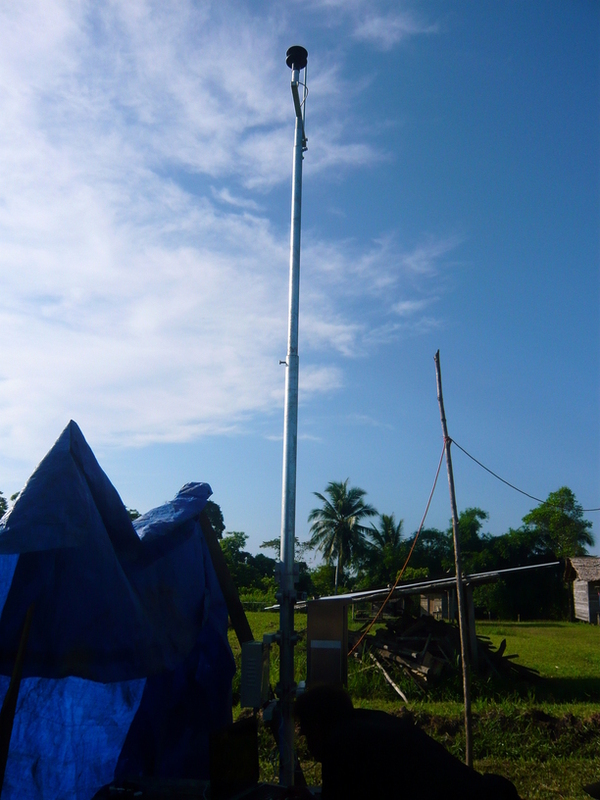 then install it with just ..
depend on your system it might request for further dependencies..
you shall able to configure it after that.. I guess just need to do this..
must already exist on the host server when the command is executed. administrator privileges to the user. If executed by root: --useradd USERNAME [--administrator] [--system [--home[=homedir]|--nohome][--gid[=gid]] [--uid[=uid]]] Add the user to the NX database and enable the NX login. The user must already exist on the host server when the command is executed. If the NX Server is configured to authenticate users through its own password DB, the server will prompt for a password. 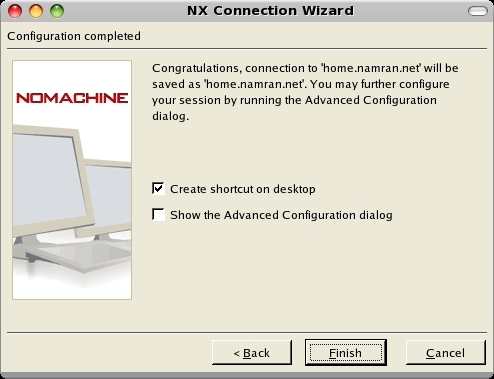 If the user is not present in the host server, the --system parameter should be specified to allow NX server to create the system account using the default settings configured for the useradd system command. If the UserId, UserGroup and UserHome keys are set on the server configu- ration file, and the --home, --gid and --uid parameters are provided, the server will create the account according to the values specified in the keys. If, for each of these parameters, the values are speci- fied in the command line, they override both the default values set in the system and the values set in the related keys. 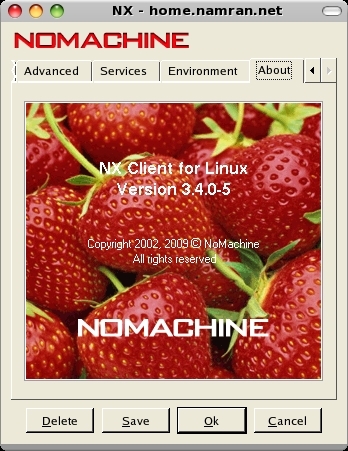 If the --nohome parameter is provided, the server will not create the home for the user. 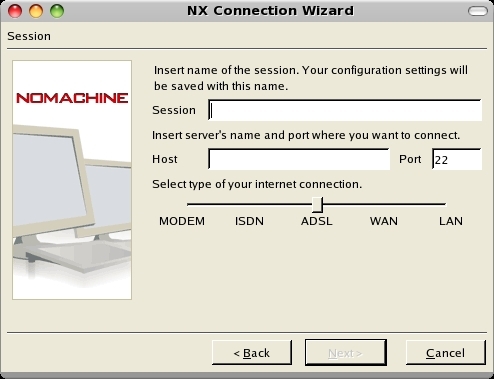 The --administrator parameter allows the server to grant NX administrator privileges to the user. 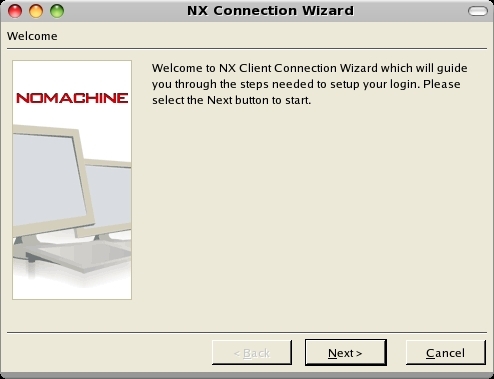 just go to nxclient wizard. 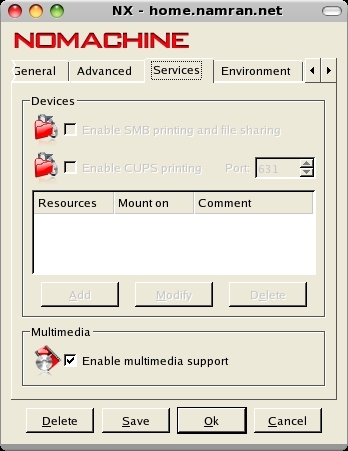 enter the user credential ..
if you like .. can access the advance setting for the multimedia support..
try connecting to the host ..
.. I love the shadow part.. as it replicate the real desktop on the host machine..
so can have a view something like this..
its very useful indeed when am using two big LCD (on top of two workstation) and a laptop (which contain my personal stuff) ..